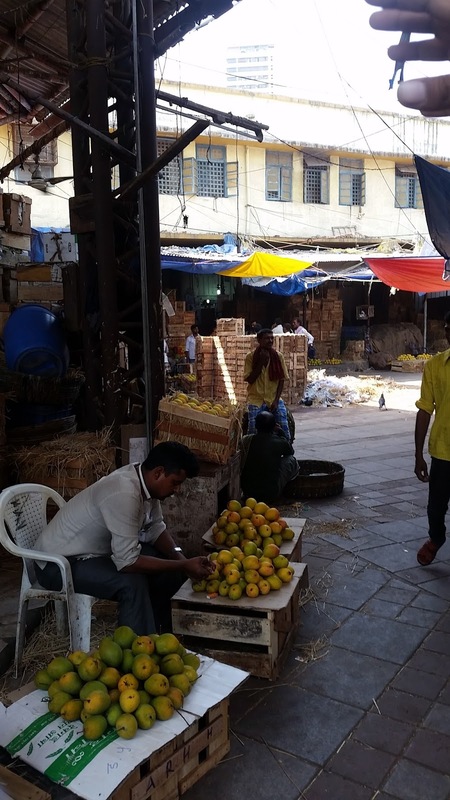 This market is one of the main ones in Mumbai. 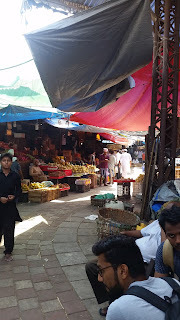 It's called Crawford Market and has almost everything food in it, both vegetarian and non-vegetarian. I love the way the pineapple sellers cut the pineapples. 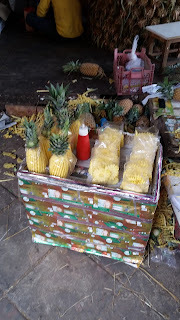 According to my guide, this method makes the pineapples less stringy when eating.